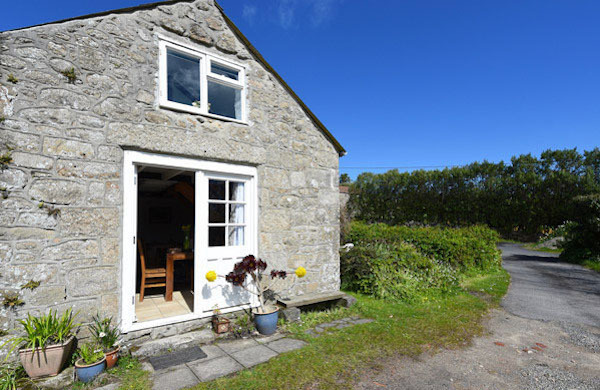 Tremelethen Farm Cottage is adjacent to the main farmhouse on this working flower farm, which is situated one mile from Hugh Town and just a few minutes' walk from Porth Hellick Beach through a nature trail. The traditional granite building was once a flower packing shed and has been converted into homely accommodation. On the ground floor is an open-plan lounge/diner and modern kitchen with integrated oven and hob, a double bedroom and a bathroom with shower. A pine staircase leads to an attic-style bedroom with three single beds, which is ideally suited to children owing to the sloping roofs. A small, private garden is available for you to rest, play or barbecue. Tremelethen Farm is about a 20-minute walk into Hugh Town and is also within 50-metres of a bus pick-up point, so shops, restaurants and the quay are all within easy reach.